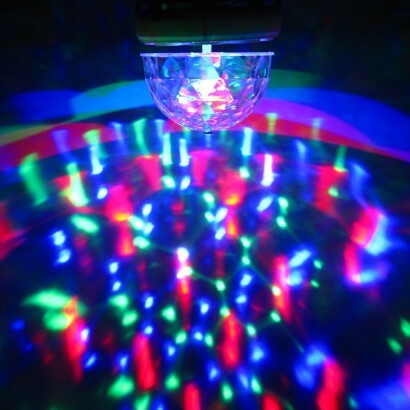 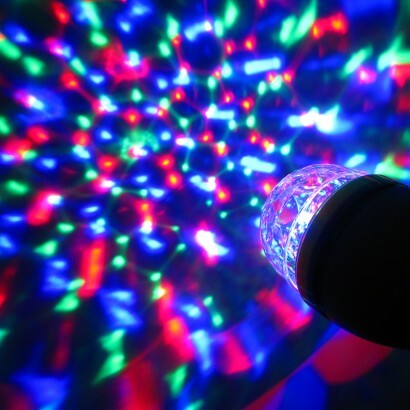 Transform your room into a funky disco all from a single lightbulb! 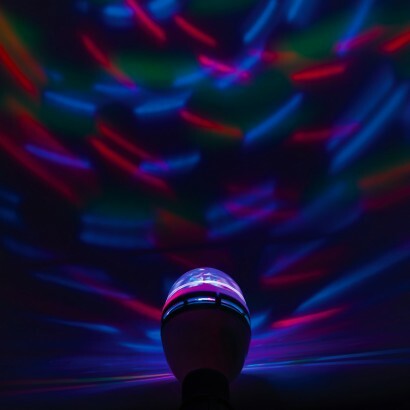 The Kaleidoscopic party bulb is all you need for instant party atmosphere casting a kaleidoscope of colourful light around your room as it rotates on the ceilings and walls around you. 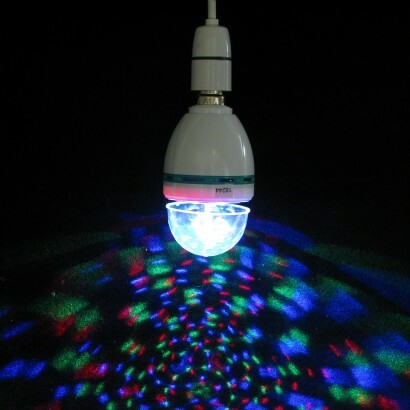 Available with an E27 screw fitting, a bayonet adaptor is also included so that you can bring the disco to most homes. 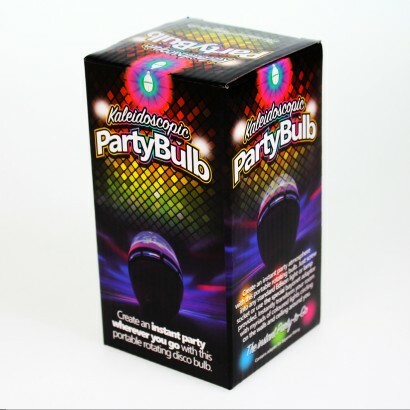 prompt delivery well packaged good price and very effective in a large room. 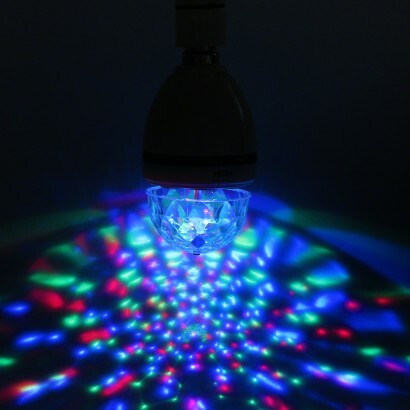 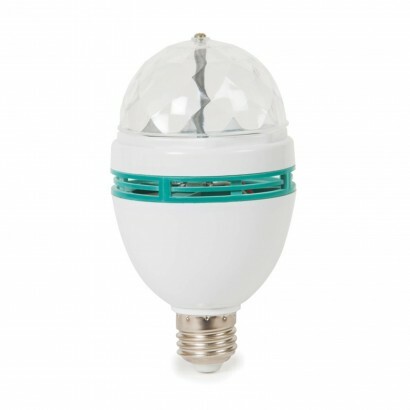 Another good product from our Glow friends this bulb is easily fitted into a standard lightbulb socket (Adapter provided if needed) created a vibrant moving light show.Ideal for parties.My granddaughter loves it.